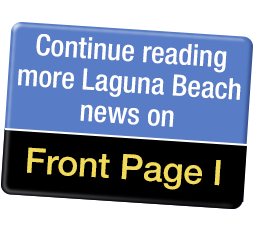 The Laguna Beach Independent and Firebrand Media hosted a City Council candidates’ forum on October 22 at the Laguna Playhouse. Ben Simon, former Design Review Board member and son of former Firebrand owner Allan Simon, and Allison Jarrell, editor of The Indy, moderated the forum. Eleven candidates participated: Landscape Architect and former Council member Ann Christoph, Community Activist Lorene Laguna, Certified Public Accountant and former Council member Cheryl Kinsman, nonprofit CEO Judie Mancuso, Affordable Housing Task Force member Allison Mathews, Businessman Paul Merritt, Art Gallery Owner Peter Blake, Councilwoman Toni Iseman, Planning Commissioner Sue Kempf, Spa Owner Sue Marie Connolly and Artist Jorg Dubin, a write-in candidate. Simon explained that the same questions would be asked of all the candidates, but not at the same time, with one exception. “How would you restore civility at Council meetings?” was the last question of the forum and was directed to all candidates at the same time. Most of candidates gave some variation on the Golden Rule: Do unto others, etc. Candidates were given one minute to respond to questions on eight topics of interest to the community. Mathews is torn between a homeowners right to remodel their property and preservation of the façade as close as possible to the original design. Mancuso said the regulations should be less onerous. Connolly favors preservation of historic resources. Blake said the City should concentrate on truly historic structures. “The Register is voluntary, so that is that,” said Merritt. Iseman said property owners have the choice of their property being a historic resource. Dubin expressed dismay that three landmark buildings are sitting empty and urges something be done about it. He was referring to the Hotel Laguna, the Coast Inn and the movie theater. All of the candidates said something needs to be done, but differed on remedies. Merritt does not support permanent apartments for the homeless in Laguna. “People are not the problem, it’s the programs,” he said. Christoph said she appreciates Judge David Carter’s efforts to get multiple agencies to work on the problem. Kempf, Mancuso and Dubin also favor a regional approach. Iseman, Kinsman, Blake, Connolly and Mathews want more “Boots on the ground.” Mathews also wants controls on sober living homes. Laguna has consistently maintained that reform is needed to lessen the burden on homeowners who submit projects. Dubin opined that the board has lost sight of its proper function. “The Design Review Board has definitely overstepped what I consider their authority or their mandate,” he said. Iseman said that the effect of a project on a neighborhood wouldn’t be addressed without the Board. “But it takes way too long for a project to get to a hearing,” she said. “It can take months,” said Christoph. Mancuso agrees that the process needs to be streamlined. Iseman said property rights are not limited to the property owner who proposes a project to the Design Review Board. “Neighbors have property rights too,” she said. Mancuso said streamlining the process would help make opening a business less burdensome for business owners. DRB should be run like a business, according to Kinsman. Mathews wants to see more professionals on the board. Kempf said some requirements could be relaxed so more interesting businesses would come to town. Dubin said rents are high, but the City has no control over that. However, businesses should be allowed to open regardless of the proximity of similar stores. Mancuso would like to see available data on why businesses have closed downtown, some of which she acknowledged are out of the City’s control. “Out-of-town landlords who don’t care if it’s vacant or not are just jacking up the rents [until] whoever moves in can afford it,” she said. Christoph said a Chamber of Commerce Committee is looking for more varied uses in downtown and at relaxing parking standards. Laguna believes mixed use stores can thrive instead of just survive. “I love the idea of mixed use,” said Iseman. Blake said the City should look for ways to bring businesses to town that the residents want. Mathews, Mancuso, Merritt, Dubin, Kempf, Connolly and Blake agreed that signage is not currently a major issue. Iseman said the City owes a big thank you to former Councilman Dan Kenney who successfully campaigned against outdoor neon signs in town. Kempf said the Planning Commission is doing its best to keep Laguna from looking like Corona del Mar. Laguna questioned the need for Wayfaring signs and objected to the $300,000 she said they cost. Christoph said the City should look for opportunities like Park Plaza. Kempf personally likes the idea of a temporary blocking of Lower Park Avenue to create a place where folks can gather to take a breather or for special events. But the downtown residents must be consulted, she said. Mathews said the Council shouldn’t put the horse before the cart. “Before the City Council even thinks about creating pedestrian-friendly plazas, it should really consider how it can create more housing downtown for people who can patronize the businesses,” she said. Connolly and Kinsman would approve closing Lower Park for special events. Blake would extend the vehicle-free street to the first block on Forest Ave.
Dubin suggested that trials are a waste of time. “If we are gonna do it, then do it all the way,” he said. Mancuso didn’t like Park Plaza effect on her shortcut home or on the traffic on Legion St.
Laguna said the temporary installation was not a fair test. Candidates Merritt, Dubin, Kempf, Mancuso, Blake, Laguna and Connolly supported peripheral parking, specifically expansion of ACT V.
However, Kinsman would put a parking structure backed up against the hill on the Village Entrance site. Christoph said folks in town shot down the concept of a big parking structure and could do the same thing for another project. Mathews suggested that incentives should be offered to keep vehicles out of downtown. Iseman thinks several small parking facilities rather than one big one would better suit Laguna. “Each project should be reviewed for its impact on the town,” Christoph said. Mancuso said traffic and the environment need to be considered when reviewing big developments. “You can’t stop development,” said Mathews. Leave it up to DRB, said Connolly. Dubin pointed out that big developments are subject to restrictions on height, setbacks and view corridors. Blake opposes increased density or heights. “The question is what does big development do to neighborhoods?” said Iseman. Laguna said keeping development consistent with specific plans is a must. Merritt supports automatic approval of developments if DRB and the Planning Commission cannot reach a decision in a reasonable specified amount of time.